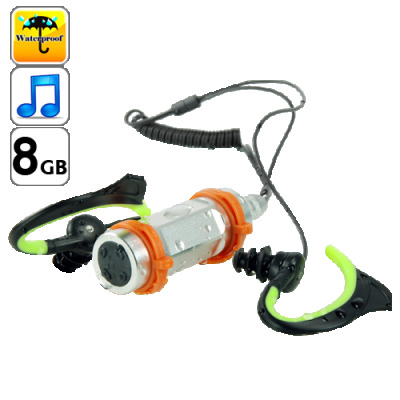 Successfully Added Atlantis - 8GB Deluxe Waterproof MP3 Player for Swimming to your Shopping Cart. Enhance your underwater experience with the Atlantis Waterproof MP3 Player. This is the newest 8GB Deluxe Edition of our famous "Waterproof MP3 Player For Watersports And Shower Enthusiasts" we introduced to the world in 2008. Get the Atlantis underwater MP3 player today and enjoy your diving adventure with a beat in every wave. Available in stock today for single and bulk purchases straight from the leaders in factory direct wholesale electronics, Chinavasion. 8GB holds thousands of songs!